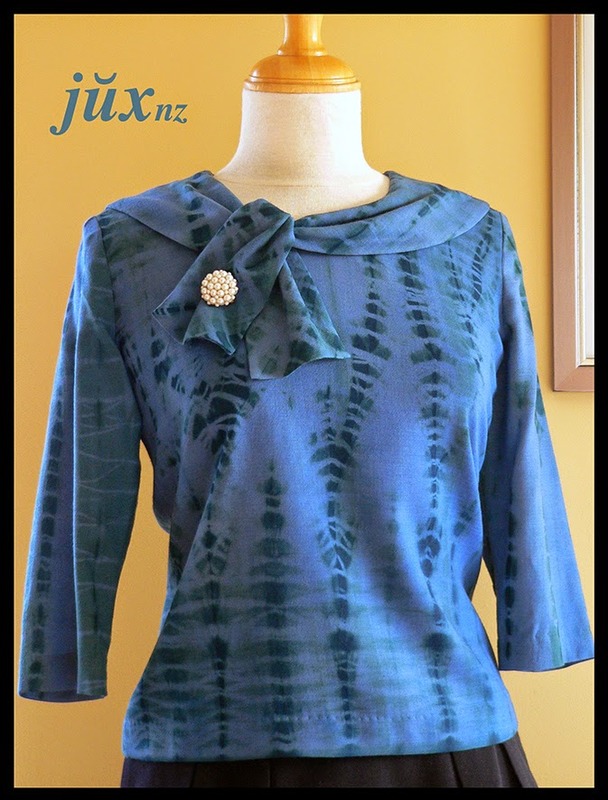 From time to time I buy a pattern off TradeMe. It can be a bit of a gamble; you never know what condition they are in, and unfortunately I have received incomplete patterns. 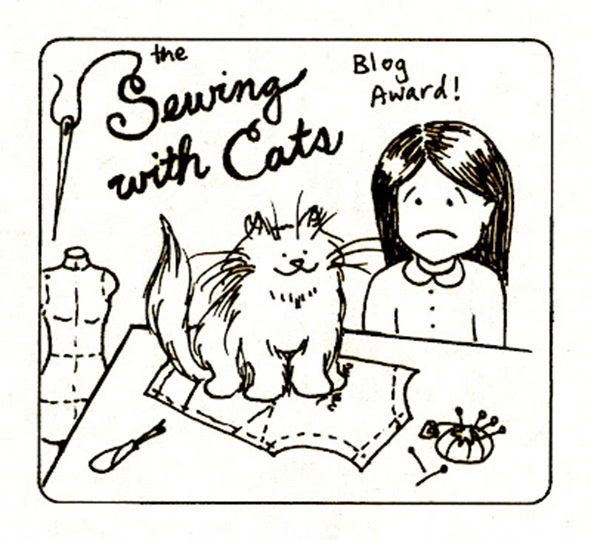 Some, I suspect, are commodities from dealers who don't know (or care) much about sewing. Others are from crafters like ourselves, who cherish their patterns like precious jewels. Tara's mother was one such lady. I was lucky enough to strike up a little rapport with Tara during our trading, and discovered her mother had won Benson and Hedge Fashion Design Awards in the late '60's (in the "High Fashion" and "Evening Wear" sections). I didn't like to ask why she was selling off her mothers patterns, but they arrived in terrific condition, a testament to her mother's care. 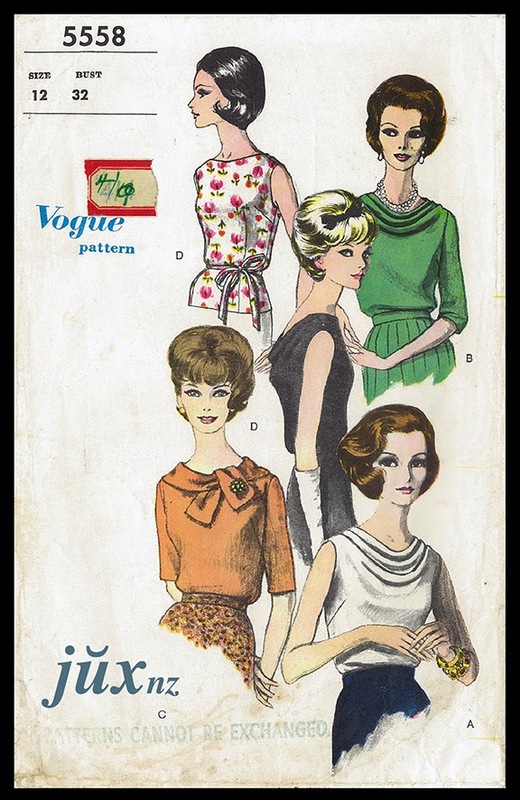 Vogue 5558 is one of the patterns. As usual, I made a wearable toilé - luckily, because thinking the pattern would be a bit too small I added ease, only to find I really didn't need to. I prefer the neck to tie on the right so flipped those pattern pieces. The fabric is lightweight wool, the remnant of a bulk purchase from The Fabric Warehouse many years ago (already made into two shirts). It was originally very pale salmon pink in colour, which is a terrific base colour for dyeing, as it slightly "muddies" the new colour. 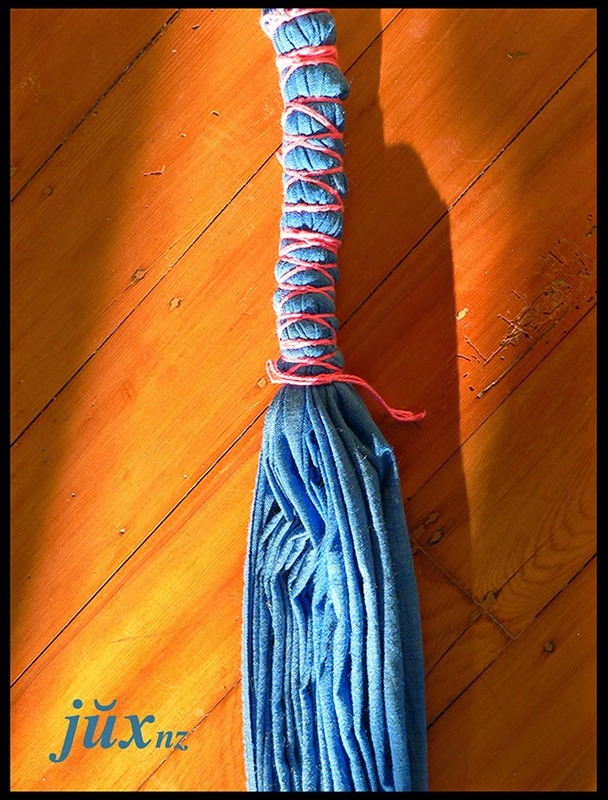 The remnant was already dyed blue, but since I was making a toilé I decided to have a little fun and tie-dye the piece. Using the book "Contemporary Batik and Tie-dye" by Dona Z. Meilach as a guide, I roughly pleated the fabric, then tied in a fairly even criss-cross style. Next time to allow more dye to penetrate, I won't tie so closely or tightly, but I'm happy with the result for this toilé. So, a win-win! I dyed turned my legs blue in the rain. Obviously I underdid an essential step! Tons of salt! Then rinse, rinse, rinse (wouldn't dye anything in a drought!) until the water runs clear, followed by a regular wash with laundry detergent. I've recently discovered something called "Ice dyeing" which I'm keen to try in the future - very interesting effects. How to make dress shields - removable and reusable! Donna Karan – U.O.Me 1 reel of topstitching thread – black. Thank you.